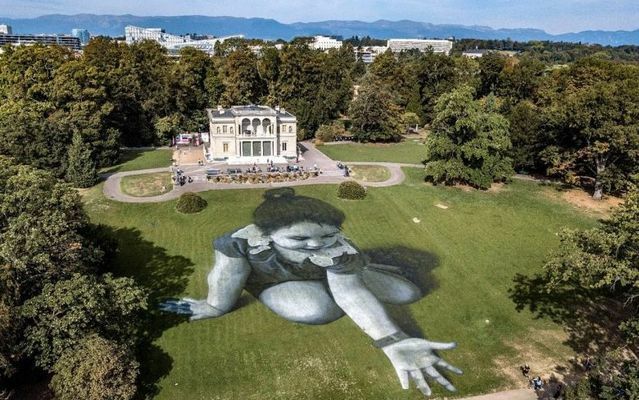 Soon featured new artist at the Speerstra Gallery, French artist Saype presents a very large landart painting entitled 'Message From Future' in the park 'La Perle du Lac' in Geneva, Switzerland, 16 September 2018. 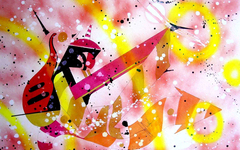 The artwork covering 5,000 square meters was produced with biodegradable paints made from natural pigments. The artist called the little girl 'Future' as a symbol of the generations from the future and the small origami boats that she drops into Lake Geneva aims to represent a message of hope sent to the world.